If having an ample number of homes for sale at any give time is more than just a passing concern, you’re not alone. If you’re trying to gauge the impact of technological advancements on your industry, you’re not alone. One doesn’t have to look any further than Realtor.org for confirmation. Keep your concerns in check by focusing on name recognition. With some attention to detail and creativity at the outset, your brand and your reputation can be working for you while you’re out working for your clients. Seeing a bucket truck drive past you on the road is likely to make you think there’s a power line down somewhere nearby. 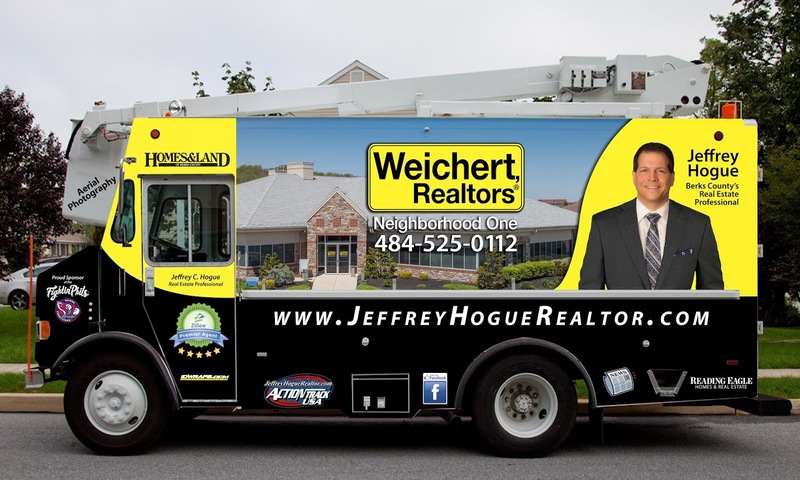 You’d most certainly be right, unless you’re in Berks County, Pa., where Jeffrey Hogue, owner and Realtor at Weichert Realtors Neighborhood One, puts his bucket truck to use for a different purpose. Hogue uses the lift and basket connected to his vehicle to take photographs of houses for his real estate business. The truck itself doubles as a branding mechanism, with Hogue’s image and company logo featured prominently on the side. Somewhat of an expert on taking an unconventional approach to marketing, Hogue also looks to the print and digital medium for getting his name out there, telling Homes & Land, “I see Homes & Land as the strongest, most dominant medium in my marketplace. As a branding and marketing tool, it delivers more for my clients and I than any other integrated print and digital medium.” He even has the Homes & Land logo featured on the side of his truck. Homes & Land Magazine and HomesAndLand.com are hard at work for businesses like Hogue’s 24 hours a day, seven days a week, whether it’s on racks at local grocery stores and offices, or online in front of the websites’ 1.3 million monthly unique visitors. Not to mention increased exposure from strategically located distribution points and syndication partners like the The Wall Street Journal, Zillow and Trulia. It would be helpful if you could personally point out all the great amenities of your client’s property to each and every one of your prospects, ensuring that nothing goes unnoticed. But because you can’t be everywhere all the time, your brand and advertising should be equipped to speak for you. According to the Association of Magazine Media, 91 percent of Americans are magazine readers.Properties in Homes & Land benefit greatly from being in front of such a wide audience. But wouldn’t it be great if they could get the full story? They should have information about the community and schools, an array of pictures, and maybe even a video. With the right technology, the full story is at your fingertips. Adding text codes to your magazine listings lets you provide a robust view of all the details to potential clients using smartphones — a significant segment of the population. Fifty-six percent of all American adults have smartphones, according to the Pew Research Center. When a user sends a text message to the number on your listing, they’re treated to a full suite of listing details, custom-fitted to the size of their device thanks to the cutting-edge technology behind HomesAndLand.com. Using an integrated, multimedia approach that includes print, digital, mobile and social components is not only smart marketing, it’s living up to the expectations of buyers and sellers. It may be trying something new and creative, or it may be keeping up to speed with the most powerful marketing options available. Either way, the name recognition gained as a result of your efforts will help you be certain that buyers and sellers know you as the go-to agent when they decide it’s time to make a move. 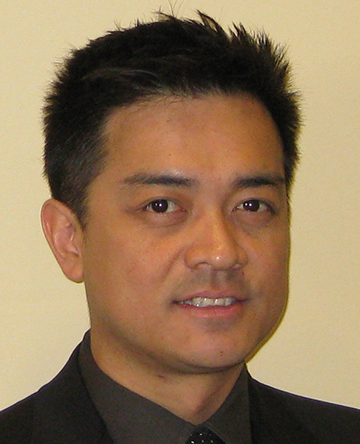 “Recently I had the opportunity to do a listing presentation on a $4.98 million dollar home and, because of the advertising package with Homes & Land, I won the listing. Included in the advertising package was your upgraded WSJ.com package, which included the international exposure. Because the sellers are international, the international exposure resonated highly with them.